Custom BMW LED Halo Projector Headlight Upgrades for all year and models available. You are looking at a fully customized set of headlights we built for 2014 Bmw 328i Xd GT. 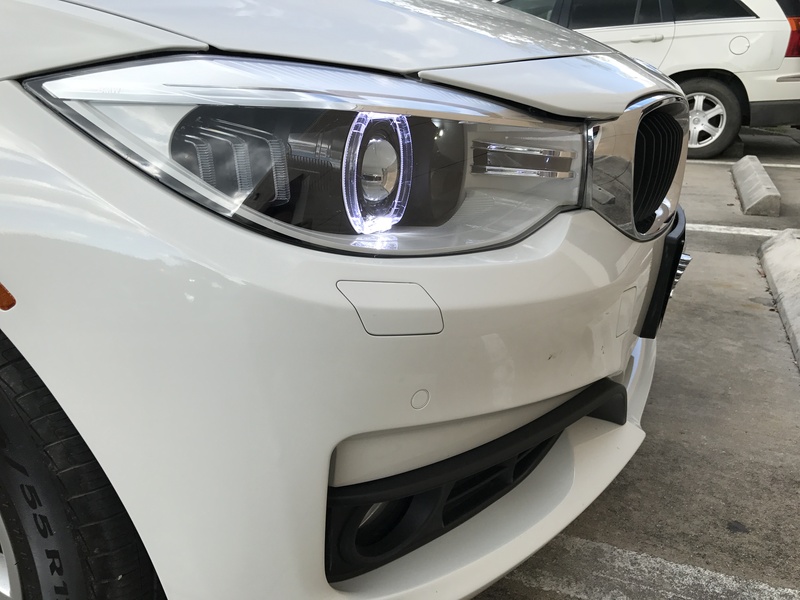 Let me tell you that Bmw really outdid themselves on such bad headlights. Maybe the worst we have seen on any car and we have done almost all of them. You might think those headlights are factory? No, we custom added two tone custom paint, added bi-xenon projectors, shrouds and led halos with Drl function.